The Junebug girls love lace, silk, and all things pretty. That’s why we’re bringing you this Junebug Weddings + BHLDN giveaway. We know Valentine’s has already come and gone, but lingerie is perfect for any time of the year, especially when you’re planning a wedding! Just imagine getting ready for your wedding in this silk robe! If you’re as in love with this beauty as we are, make sure to enter our giveaway below for a chance to win the Blancheur Robe. We love everything BHLDN does, and this robe by Madeleine Fig, exclusively for BHLDN, is no exception! In fact, the entire spring lingerie collection from BHLDN is dreamy. 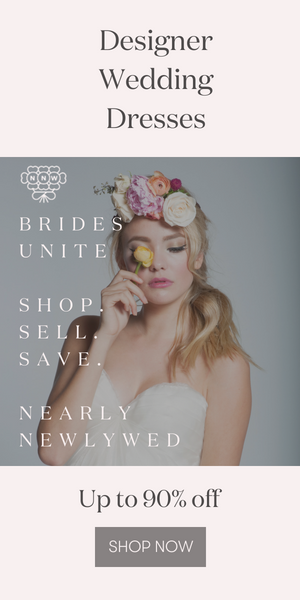 You need to check it out, but first, don’t forget to enter for a chance to win BHLDN’s Blancheur Robe ( a $250.00 value ). – This giveaway ends on March 15th, 2015 at 11:59pm. – The winner will be announced on March 16th, 2015 at 7:00am. Right here on the blog. – To enter the giveaway, please complete the form below *Please note: by entering this giveaway, you are providing your information to Junebug Weddings and BHLDN. – By entering this giveaway you are agreeing to the Junebug Weddings Terms and Conditions. Thanks!